Logistics Engineering College, Shanghai Maritime University, No.1550 Haigang Road, Shanghai 201306, P.R. China. Tolerance allocation influences product performance especially for miniature precise assembly device. 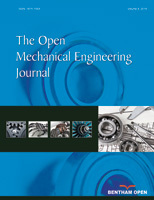 The purpose of this paper is to explore an approach to optimize manufacturing tolerances by combining the reliability of product performance indicators under actual working condition. The paper describes the principle and ways of tolerance handling in the finite element control equations for the displacement and stress, and then introduces the implementation of Monte-Carlo Finite Element Analysis method. We illustrate this method on a gear-tooth of port-cleaning-equipment gear pump and carry out the reliability analysis on gear contact fatigue strength considering the effect of manufacturing tolerance, and a sensitivity analysis is also performed to identify the key tolerances and improve them in order to attain the expected reliability.